The Internet of Things can be a mixed blessing. Sometimes all works as planned and sometimes things go terribly awry. Things are getting better, though. The trick is compatibility and we aren't there yet, but things keep improving and moving forward. Now Samsung is beefing up its line of SmartThings products. This isn't new, but only improved. The company is doubling up its efforts, but others will need to adopt the standard, or any standard for that matter. The centerpiece of this technology is the hub -- you need that for everything to work. Samsung has worked with other manufacturers to make this as compatible as possible. 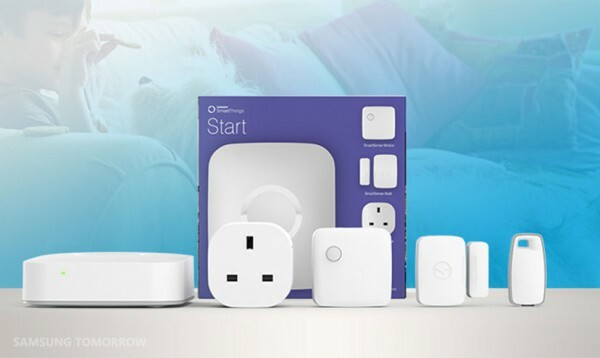 "It connects all your home’s smart devices. In fact, it’s compatible with over 200 of them, from light bulbs to locks to cameras", the company states. The Multipurpose Sensor monitors all manner of activity -- it picks up movement, vibration and other minor disturbances. It can even sense if a valuable object is tampered with or moved. There is also the usual array of products that includes motion, arrival, and water leak sensors, as well as the smart outlet. To get started you can get a kit -- "Just released in the United States and online, the SmartThings Home Monitoring Kit, which includes the new SmartThings Hub, two Multipurpose Sensors, a Motion Sensor and an Outlet, makes it even easier to transform your home into a smart home", Samsung says. The world of home automation can be a bit scary, but it is slowly being tamed as new products come along and things gradually improve. Are you ready to take the plunge?